Congratulations to Mr. Trevor and Mr. Mason Rud on your recommendations to test for the 2nd-degree black belt. Congratulations to Mr. Christoper on your recommendation to test for the 1st-degree junior black belt. Best of luck on your upcoming exams. Black Belt test is a milestone both in someone's Taekwondo journey but also in their life. The skills and experiences these three will take away from the test will be with them forever and will help them move through their martial arts journey. Help us wish Mr. Trevor, Mr. Mason, and Mr. Chris good luck on their upcoming exam. For the month of November, Full Circle will be hosting a series of Open Gyms to help students prepare for our upcoming colored belt exams. These workshops are FREE to actively enrolled students. All workshops will be held at Full Circle Martial Arts Academy on Fridays from 5:00 - 6:30 pm and are open to all students. To sign up for a workshop, check in with your Head Instructor. Check out our November line up below. Our open gym time provides actively training students with an opportunity to explore their curriculum at their own pace and work one-on-one with a black belt instructor. Open Gym is available to our Taekwondo, Hapkido, Kumdo & Kumbup programs. Students in our Youth programs should be accompanied by an adult. It's that time of the year again; equipment order time. To place an order please email Master Naomi Even-Aberle directly (rc.fcmaa@gmail.com) and an electronic invoice will be sent to your account. Invoices must be paid by November 15th, 2018. If an invoice is not paid by the deadline the equipment order will not be submitted. Below are the equipment order requirements and prices (which include tax but not credit card processing fees). If you are requesting a specialty item please speak to Master Naomi directly. Getting ready to make holiday plans? Stay informed with our live calendar. 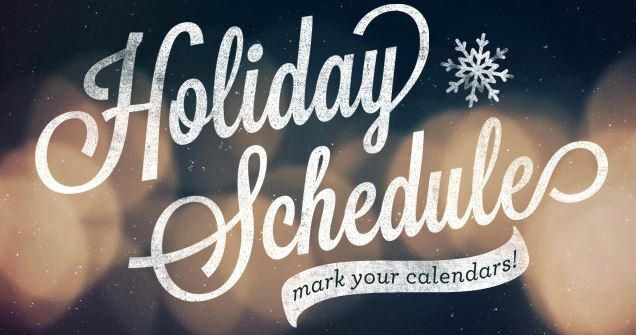 Calendaring reflects all active programming, events, and even cancellations due to holidays and inclement weather. Have questions regarding scheduling? Now taking enrollment for November and December. Explore creative movement, obstacle courses, and stretching in this high-energy class. This class is structured play time with an emphasis on body awareness, coordination, and building listening skills that will help young students develop the self-confidence they need as they enter school and other organized activities. This class does not follow a belting system and is designed to be an introductory movement class. All interested students must schedule and attend one free class trial prior to class registration. To register for the class visit www.FullCircleMAA.com. 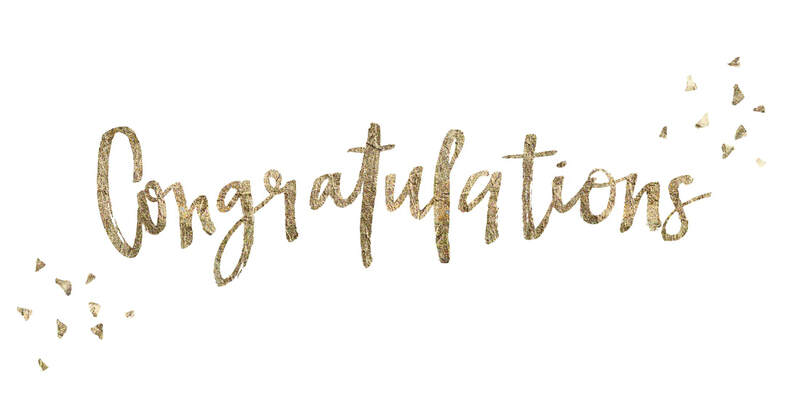 Congratulations Mr. Trevor, Mrs. Jess, Mr. Adam, Mr. Mason, Mr. Cody, and Ms. Elian on your recent colored belt exam. 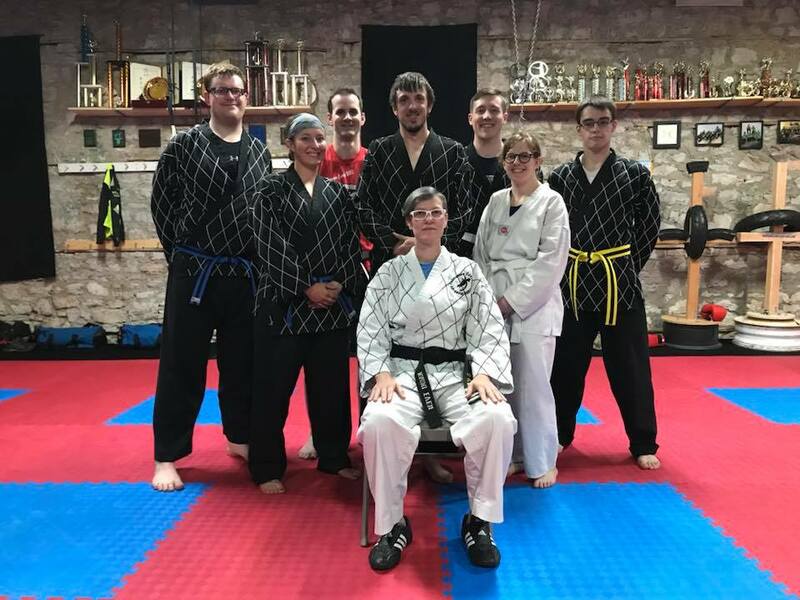 The Hapkido students performed an almost flawless exam complete with a large stack of broken boards. Starting this fall, Full Circle will be offering a series of rotating Friday workshops. These workshops are FREE to actively enrolled students. All workshops will be held at Full Circle Martial Arts Academy on Fridays from 5:00 - 6:30 pm and are open to all students. To sign up for a workshop, check in with your Head Instructor. Check out our October line up below. Our Tournament training workshop is designed to give new and advanced students the skills to participate in our tournament programs. All students, both inexperienced and experienced are welcome. Students must have shin guards, mouth guard, and male students must bring a groin cup to this training. Our Tournament training workshop is designed to give new and advanced students the skills to participate in our tournament programs. This workshop will focus on pattern and weapons patterns. Students wanting to participate in weapons patterns must be black belt level or higher. Join us in celebrating Mr. Nik's achievement in being recommended for4thdegree Master black belt. Mr. Nik's test will take place on Friday, October 19th in Aberdeen, South Dakota. All Full Circle Martial Arts Academy student are invited to join us for this once-in-a-lifetime opportunity. More travel information will be forthcoming. Hapkido relays on the convergence of energies and is a dynamic and highly eclectic Korean martial art. It is a form of self-defense that employs joint locks, grappling, and throwing techniques as well as kicks, punches, and other striking attacks. This session will review a basic set of Hapkido techniques that work for all ages. All students are invited to attend and participate in the Roughrider Academy Invitational Championship Tournament. If you are interested in attending this year's tournament please speak with your Head Instructor. Are you looking for something fun and different to mix up your workout? It's your lucky day! Korean Sports Dance is a culturally inspired fitness course that combines ballroom dance, cardio, and martial arts…curious yet? Come exercise while learning basic choreography incorporating dance, leg movements, and cardio fitness. Students should wear comfortable workout clothes and bring a water bottle to each class. All skill levels and body types are most welcome! This year for the Halloween, Full Circle will be hosting our annual Movie Madness Night. 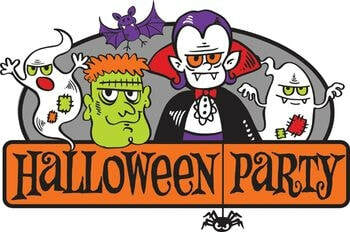 The event will take place on Saturday, October 27th from 6:00 pm - 8:00 pm at the gym. We will be premiering the movie Hocus Pocus on the Big Screen. Full Circle will provide movie-themed snacks (popcorn, chips, dip, etc.). Students and their families are invited to join us in costume, or pajamas, for a fun night in celebration of all hallows eve. As a note students are welcome to wear their Halloween costumes to regular martial arts classes the week of October 29-31st. To sign up for the event speak with your Head Instructor. We're at it again. 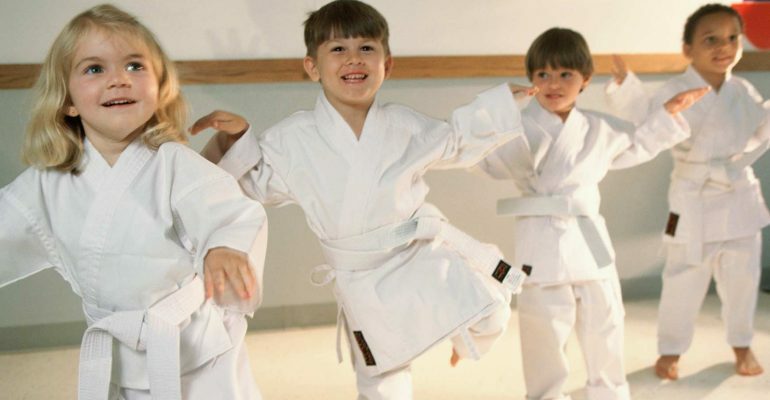 Starting in October we will be launching our Tykes Taekwondo classes. See the class details below. Best of luck on your upcoming exams! 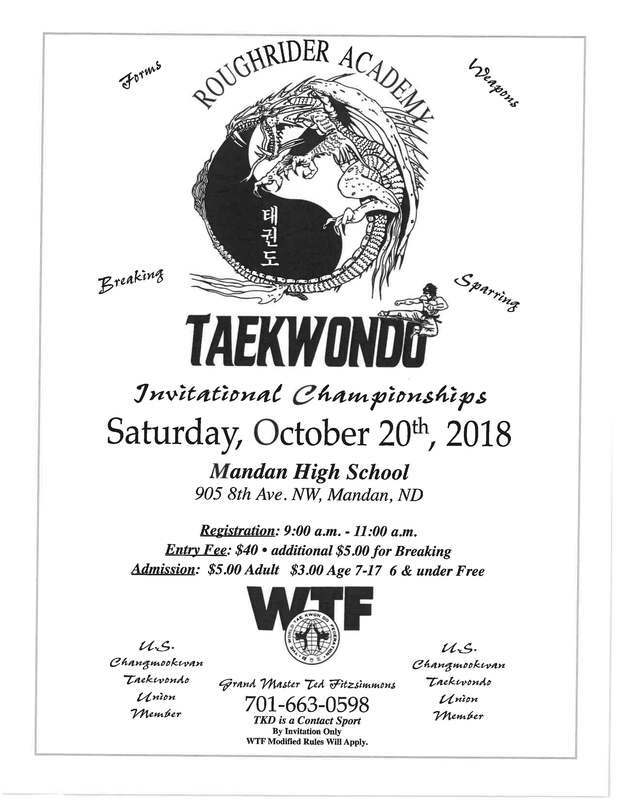 This Saturday, Sep 8th, three red belts from the Junior Taekwondo program will be testing for their Junior Black Belt. A Junior Black Belt test is a milestone both in someone's Taekwondo journey but also in their life. The skills and experiences these three will take away from the test will be with them forever and will help them move through their martial arts journey. Help us wish Mr. Connor, Ms. Bonita, and Ms. Rayna good luck in their exam! In addition, our adult Kumdo & Kumbup program will be hosting their semi-annual colored belt testing this Saturday, Sept. 8th. Testing students include Mr. Trevor, Mrs. Vicki, Ms. Elian, Mr. Mason, Ms. Nan, and Mr. Max. Our Kumdo & Kumbup program develops the art of the sword and requires the practitioner to free their mind of worry and implement intense focus and weapon control. Good luck! Finally, our adult Hapkido program will be hosting their colored belt exam on Tuesday, September 25th. Testing students include Mr. Trevor, Mrs. Jess, Mr. Adam, Mr. Mason, Mr. Cody, and Ms. Elian. Hapkido is our practical street self-defense program which incorporates falls, sweeps, and joint locks. Best of luck on the upcoming exam! To place an order please email Master Naomi Even-Aberle directly (rc.fcmaa@gmail.com) and an electronic invoice will be sent to your account. Invoices must be paid by September 15th, 2018. Below are the equipment order requirements and prices (which include tax but not credit card processing fees). Starting this fall, Full Circle will be offering a series of rotating Friday workshops. These workshops are FREE to actively enrolled students. All workshops will be held at Full Circle Martial Arts Academy on Fridays from 5:00 - 6:30 pm and are open to all students. To sign up for a workshop, check in with your Head Instructor. Check out our September line up below. Open gym is designed to give student one-on-one time with peers, advanced students, and black belts alike to work out the kinks on the subject of your choosing. Full Circle is partnering with Girl Scout Dakota Horizon and their event Day of Play to offer a free self-defense class and exercise class. This workshop is designed for those students who are able to volunteer for the event on Saturday, Sept. 23rd. Full Circle is partnering with Girl Scout Dakota Horizon and their event Day of Play to offer a free self-defense class and exercise class. We are looking for students to volunteer to help host our booth at the event. All volunteer are required to wear their martial arts uniforms during the event. Volunteer shifts are set in one-hour increments. To sign up as a volunteer please talk to your Head Instructor. Master Naomi Even-Aberle is the Master Teaching Artist for Full Circle Martial Arts Academy.